Birthdays, festivals, holidays. 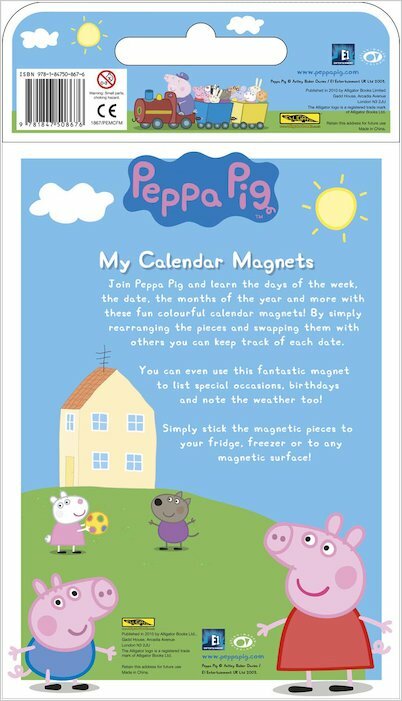 Mark all your favourite celebrations on Peppa’s magnetic chart. Yes: now you can count the days and seasons with adorable Peppa Pig. 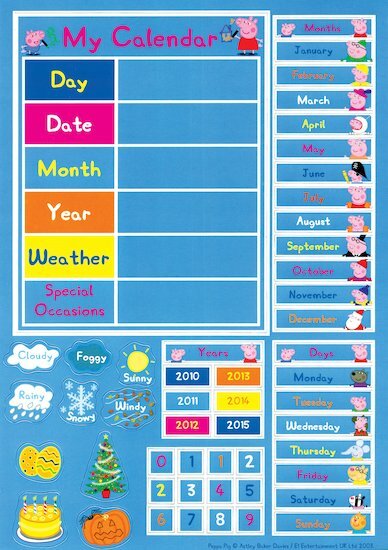 Every day, stick on magnets for the day, date, month and year, plus a fun symbol for the weather. Special days and festivals have their own picture magnets. We love the birthday cake and Halloween pumpkin! Which days do you like best – sunny days for playing, or rainy ones for splashing in puddles?